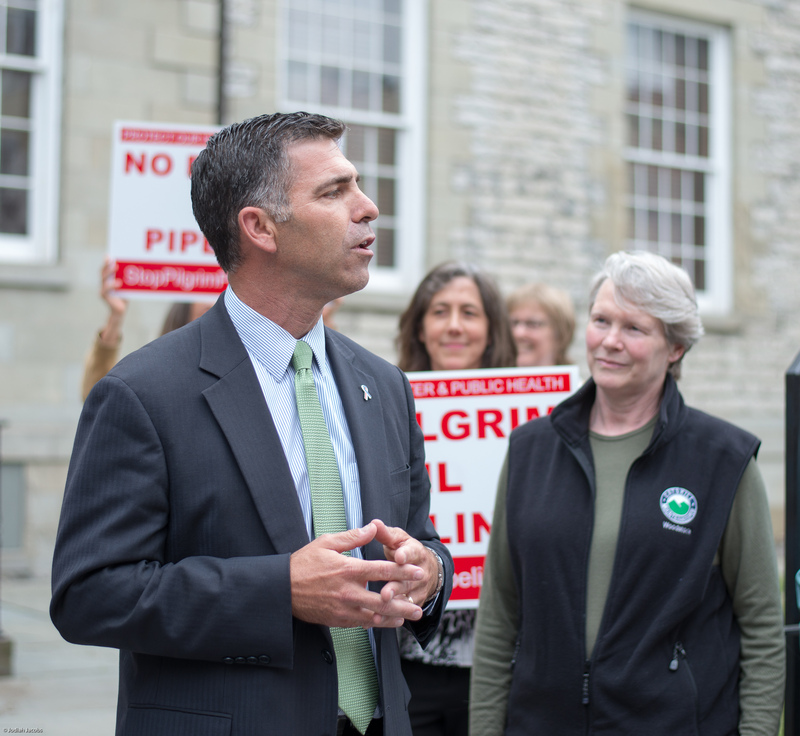 “Ladies and gentlemen, we will put an end to the Pilgrim Pipeline, and we will protect our children’s future forever,” said Ulster County Chief Executive Mike Hein, opening Monday’s Rally for Safe Clean Energy in Kingston, New York, organized by the Coalition Against Pilgrim Pipelines-New York. Ulster County Chief Executive Mike Hein speaks at Rally for Clean Safe Energy on May 18th in Kingston, NY. Iris Marie Bloom center; Kathy Nolan right. Photo: Jodiah Jacobs. Kingston, NY – Ulster County Chief Executive Mike Hein joined lawmakers from Esopus, Plattekill, Rochester, Rosendale, and Saugerties, with a diverse array of clean energy advocates including farmers, physicians, faith-based and civil rights leaders, standing together against Pilgrim, the company planning to build two controversial proposed oil and gasoline pipelines through New York and New Jersey. 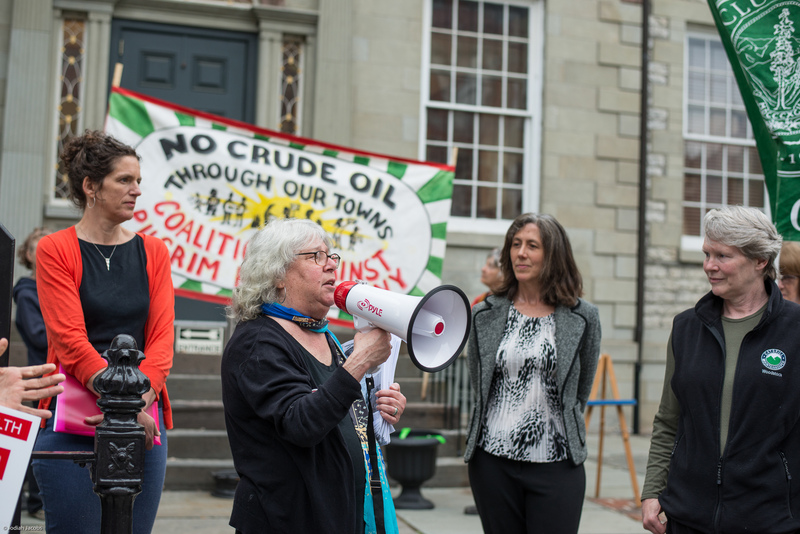 The crowd of about 100 people gathered on Monday, May 18th in Kingston before a bold, colorful banner proclaiming, “No Crude Oil Through Our Towns: Coalition Against Pilgrim Pipelines-NY.” The event celebrated 50 resolutions opposing Pilgrim pipelines, already passed in New York and New Jersey. However, those resolutions are not binding, and are seen as the opening salvo of a long struggle to stop Pilgrim pipelines. 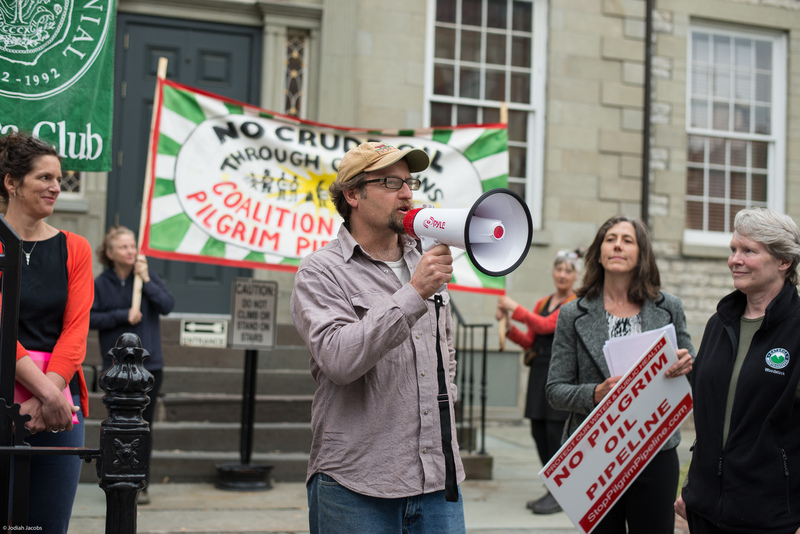 “Not one spill, not one drop, Pilgrim pipeline’s got to stop,” the crowd called out. Speakers listed harms to the region which they said would occur if Pilgrim pipelines are not stopped. 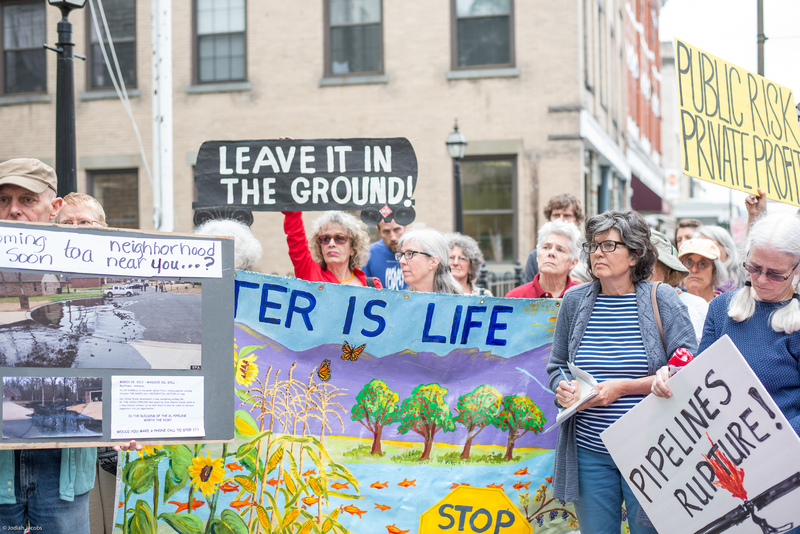 Pilgrim pipelines would be drilled under the Rondout, Wallkill, Esopus, Ramapo and other New York and New Jersey rivers and streams, putting waterways directly in the path of a major spill. Drinking water aquifers would also be at risk. Air would be impacted by toxic emissions of benzene and other carcinogens from pump stations along the pipeline. Pipeline incidents such as leaks, spills, and ruptures happen about 1.7 times a day, according to federal data from PHMSA, the Pipeline and Hazardous Materials Safety Administration. “Transporting Bakken Shale crude oil by pipeline puts at risk the health and safety of every individual and community along its path. We should be building wind farms and solar arrays rather than pipelines to transport dangerous carbon-based fuels that should stay in the ground. 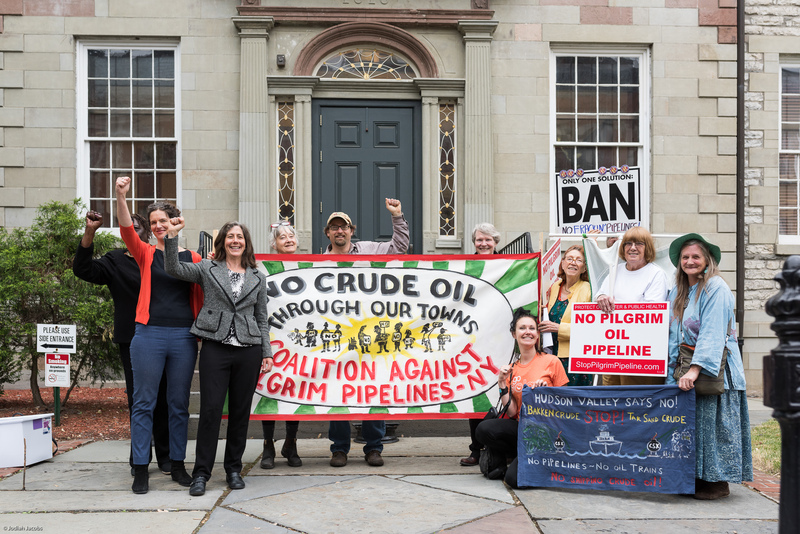 Saying ‘no’ to this pipeline is an important step in protecting our environment and our families, and weaning ourselves off of fossil fuels,” said Kathleen Nolan, MD, of Catskill Mountainkeeper. Good for you, Iris and all. Keep up the resistance! Delay, delay, delay until STOP!